Juicy, soft, and sweet, pears are a fabulously versatile fruit. But once you dip into the world of farmers markets, the variety can be mind-numbing. There are many kinds of pears, and an increasing variety of pears are available at everyday grocery stores. So what do you do when you want to add some pear to a salad? How about if you're making a pear tart or a poached pear? Different pears are best for different types of dishes since sometimes you want pears to keep their shape and other times you want pears to fall apart. Anjous are firm, mild-flavored pears. Bartletts are for when you want a really, really juicy pear. Bosc pears are wonderfully crisp, with a delicate sweet flavor. Asian pears are full-on crunchy and very mild-flavored. Comice pears are less grainy than classic pears, with a great clean and bright pear flavor. French butter pears and seckel pears can be eaten raw, but they need to be fully and completely ripe for the experience to be a pleasant one—even slightly underripe versions have a sharp, tannic hit. 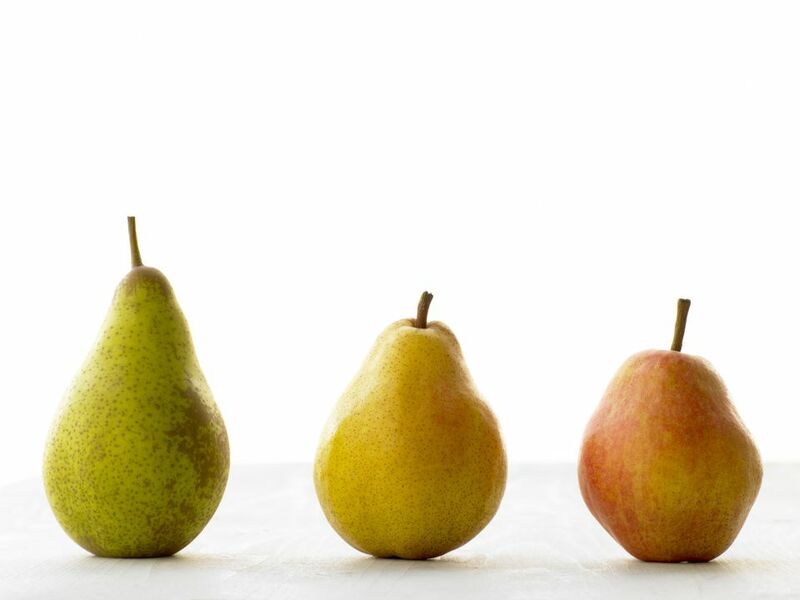 Tip: Pears tend to oxidize or turn brown when cut and exposed to the air. You can minimize any browning in salads by dipping the sliced pears in a mix of about 1/2 cup water and 2 tablespoons lemon juice first, or by tossing them with a fairly acidic salad dressing. When cooking pears, there are two types of desired outcomes: Pears can keep their shape or fall apart. Bosc pears keep their shape best. Anjou pears are another good option, as well. French butter pears are also reliable shape-keepers. Pears should fall apart when making pear sauce or pear butter, for example. For these recipes, turn to the ​Bartlett pear. They look at heat and turn to mush. A mix of Bartletts and Bosc in a pie can be lovely, with the Bosc pears holding their shape as they're surrounded by a Bartlett-pear sauce.